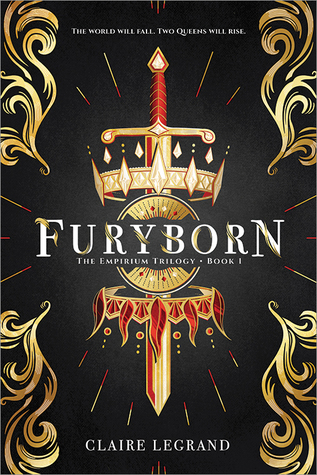 Furyborn was one of those High Fantasy novels that I was a little hesitant with. When I saw it, I thought it would be like all of the others that I have read (and enjoyed) in the past, so I just shrugged it off and ended up getting the book as an audio just in case I ended up not liking it. However, once I got towards the middle of the novel, I was quite surprised with the writing style and everything. I was pretty much hooked from then on and I couldn’t stop listening to the audio book. All of the characters were fleshed out and described well. Most of the time I actually could picture what the character looked like in my mind every time they were mentioned or in a scene. For the multi-perspective, I found it was planned out and written well compared to all of the other multi-perspective novels I have read in the past. The plot was original and that was a plus for me after all of the High Fantasy novels that are out in the world now. Nevertheless, Furyborn was entertaining and heart-stopping. I am hooked, which, like I said, was odd that I ended up loving this story as much as I did. Thanks for the review! I’ve avoided this one because the cover makes look like countless other YA fantasy books, most of which are pretty similar to me. Sounds like this one is better than most! I’ll add it to my TBR.